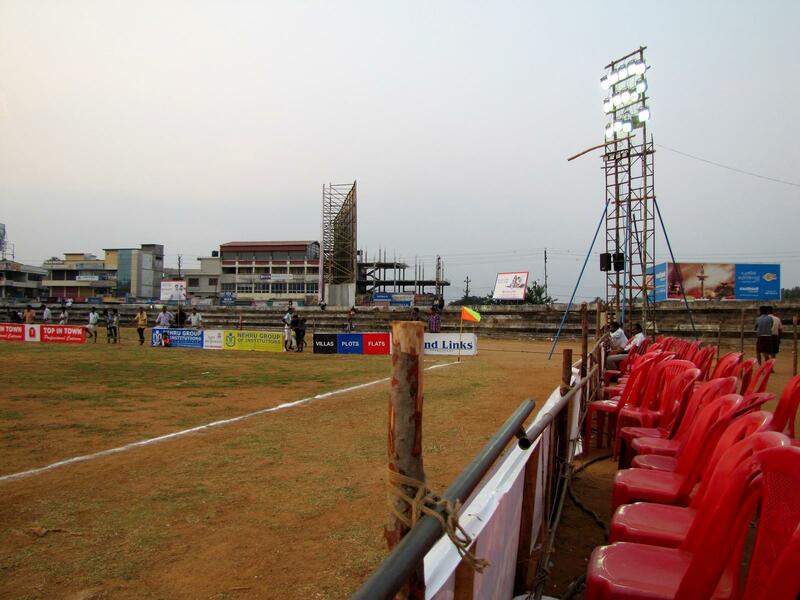 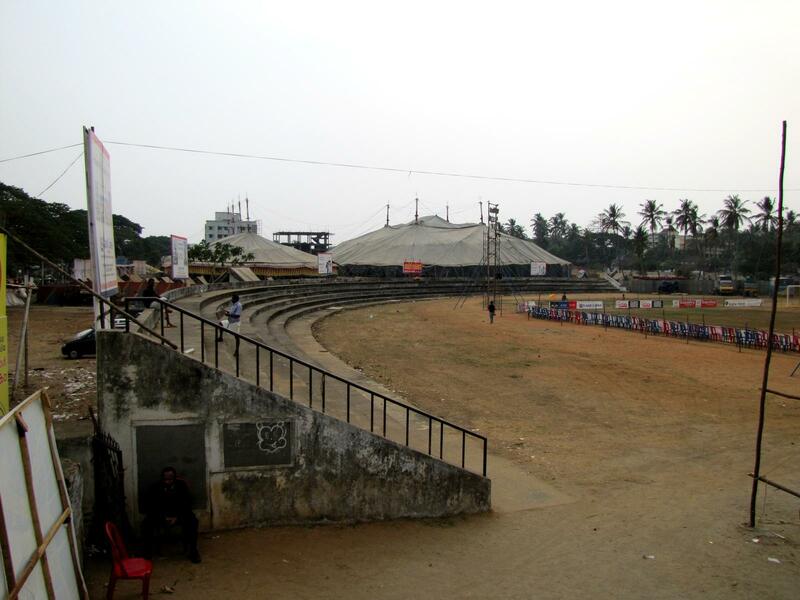 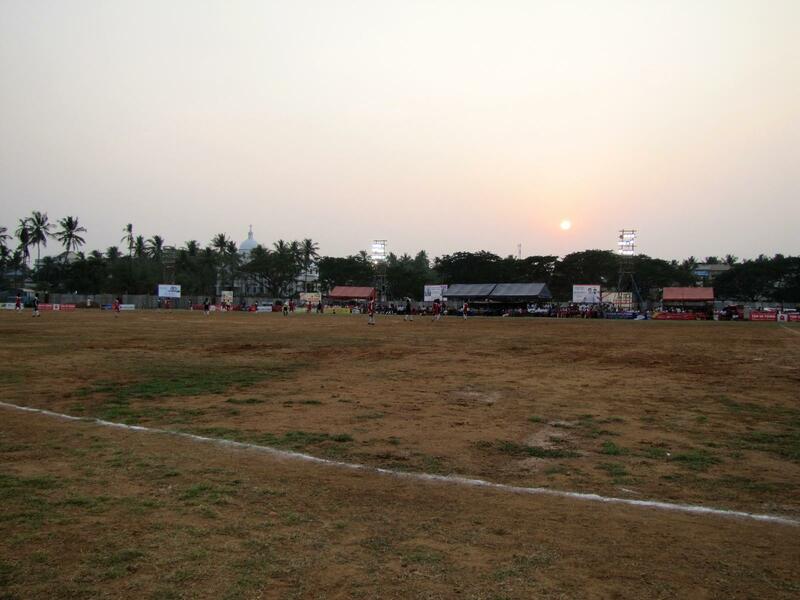 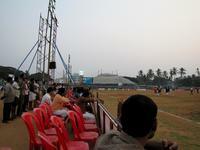 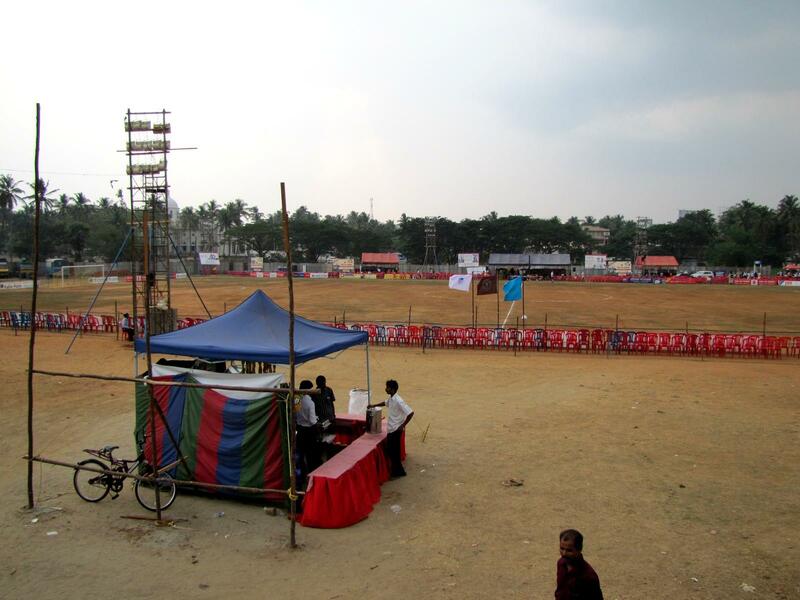 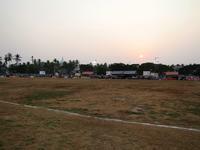 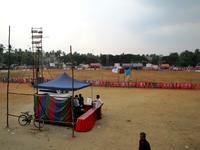 In the city of Palakkad (“Land of Palms”) best stadium is the one named after prime minister Indira Gandhi, but despite quite high population (almost 3,000,000 in the surrounding district) it only received “C” shaped stands for up to 4,000 people. 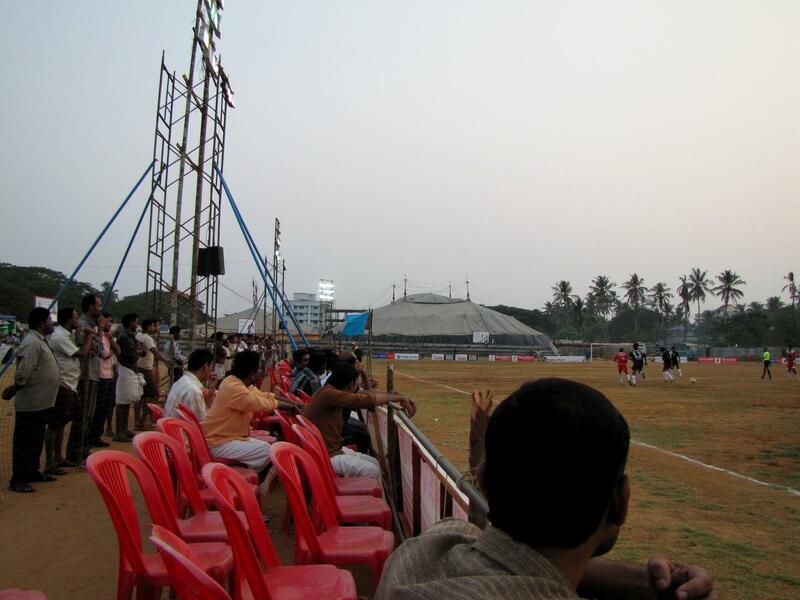 As there are no seats, temporary seating section was created simply by putting 1,000 seats along one sideline of the pitch. 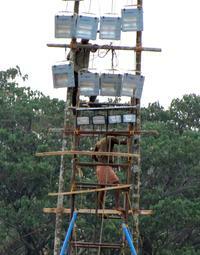 There are also 8 floodlight masts, those too of temporary nature. Especially that in June 2012 construction of a professional running track was announced and masts stand partly in its way. 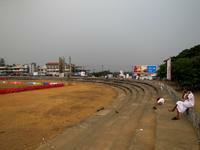 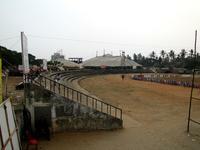 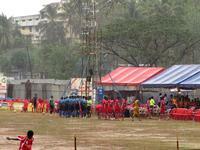 Yesterday we presented three of India’s most impressive venues. 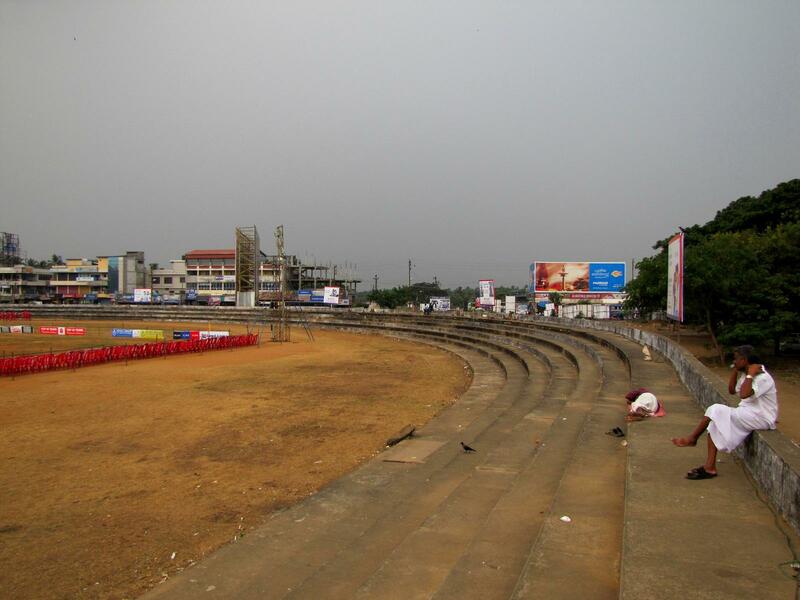 Today we do the opposite and show some of the scariest (we actually find this word legitimate) stadia that are still used for major fixtures, despite their desperate cry for renovations.